Happy New Year, everyone! 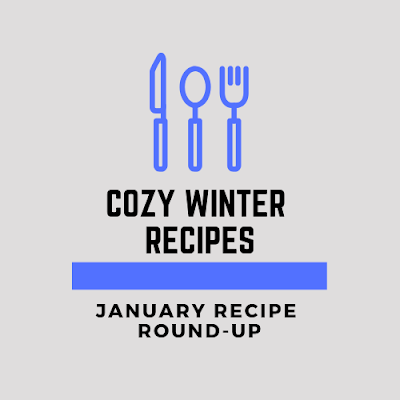 We are planning to continue our monthly themed recipe round-up in 2019 with some returning bloggers as well as several new faces. We are all excited to share recipes with you each month to help you meal plan and prepare for upcoming holidays, seasons, etc. through the year. 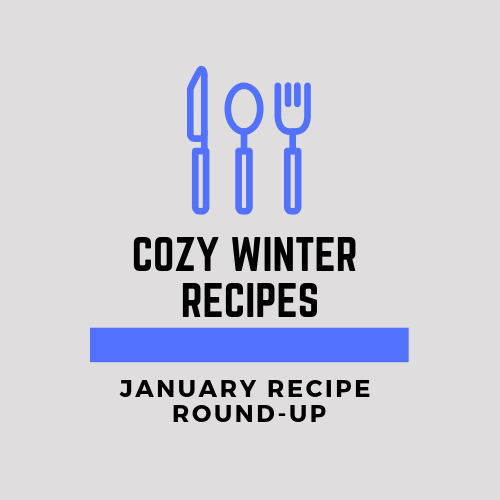 This month we are featuring cozy winter recipes -- recipes and meals to warm you up on cool January days. Please continue reading to see all the recipe ideas and comfort foods. As in years past I'm showcasing my favorite recipes from each month of the year, followed by my husband's favorites (the official taste tester). I always enjoy seeing if we choose the same recipe each month or not. 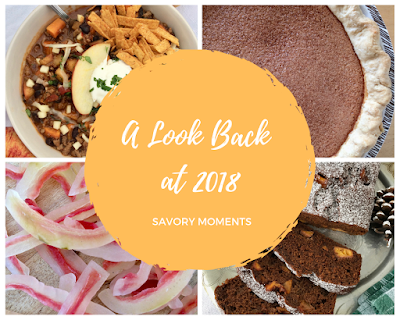 2018 have been a great year for my blog - I've enjoyed teaming up with some talented people and events, and making (and eating) lots of tasty food. Please keep reading to see our favorites from each month (this year we have 4 out of 12 the same). 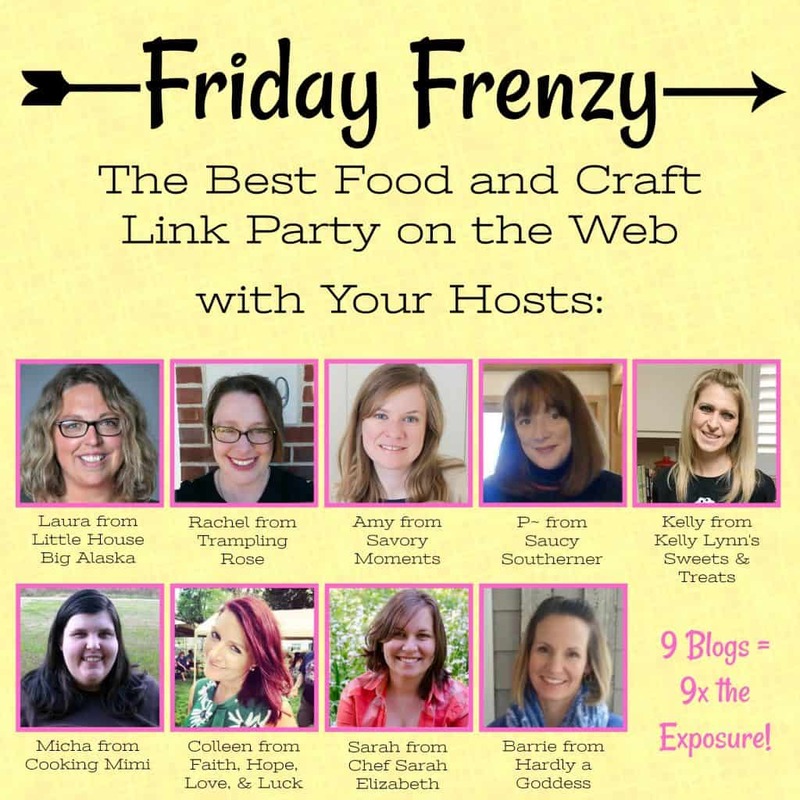 This is the last of the posts from all of us at Friday Frenzy....for good. Thanks to Laura from Little House Big Alaska for organizing it all and for inviting us to join in on all the fun! 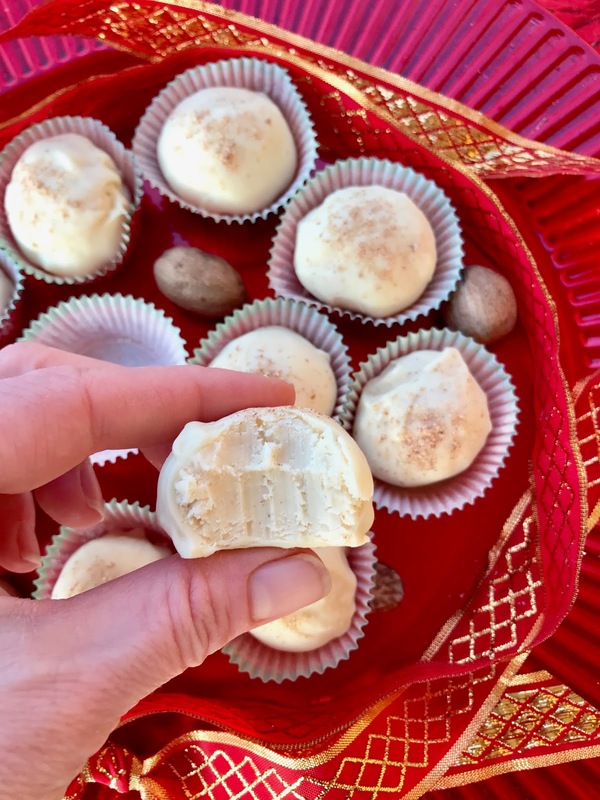 Decadent and creamy truffles full of eggnog flavors are a lovely treat for the holidays! I made these eggnog truffles for this month's Fantastical Food Fight where the theme is candy. Candy isn't something I've made a lot of in the past, but I've been trying more and Christmas time is the perfect time to work on my candy making skills. I really wanted to use eggnog for its seasonal flavors, too. 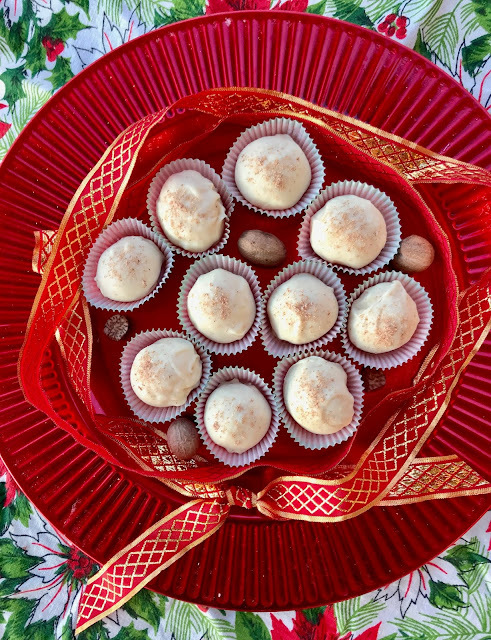 I read a lot of eggnog truffle recipes, but very few actually contained any eggnog. I saw this recipe and modified it for the recipe below. I made 18 large truffles, but you can make about 36 smaller ones if you prefer. They are rich enough that smaller is probably a perfect bite, but I made large ones mostly to fit my truffle paper holders. 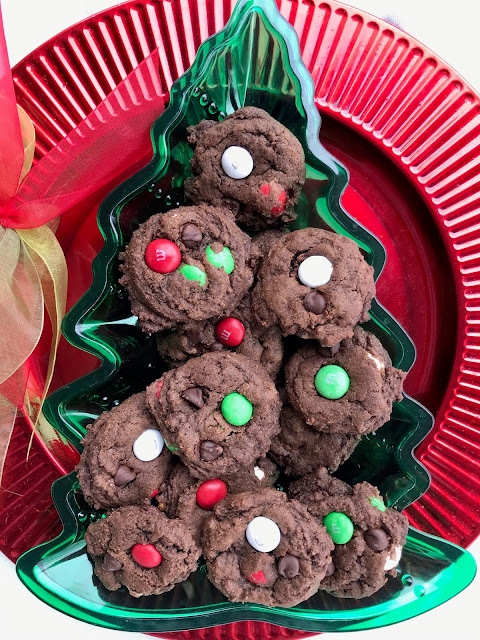 They are nice for a homemade holiday gift or to add to your Christmas cookie platter. I hope everyone is enjoying the holiday season and time with their loved ones. Happy Holidays to you all! Holiday Mint M&M's in a minty and chewy chocolate chocolate chip cookie are perfect for the holidays and for the mint + chocolate lovers out there! I am a huge fan of chocolate + mint together, especially around Christmas. Every year I snag a bag (or two) or Holiday Mint M&M's when they appear in the stores. They are one of my favorite splurges around the holidays! For years now I've been telling myself I'm going to make them into a delicious chocolate mint cookie, but I usually end up eating them all before I get that far. This year, I was strong and I saved them for a new Christmas cookie and I'm glad I did. These cookies are delicious - soft and chewy with a hint of peppermint in the batter and then extra when you bite into the candy. I also added some semi-sweet chocolate chips for an extra chocolate boost. 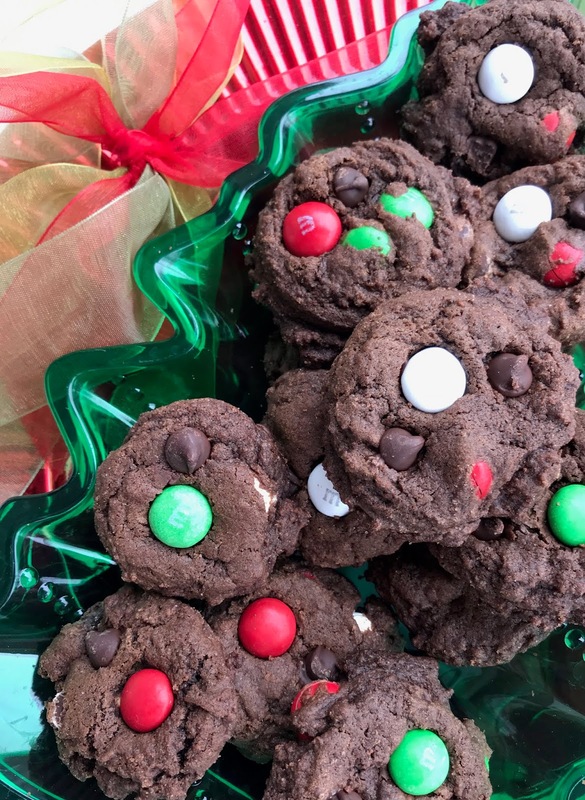 Plus the colors make them a festive addition to your cookie tray this year! My toddlers helped with making this batch. They enjoy helping with my baking projects and, of course, sneaking as many chocolate chips as they can in the process. This recipe will make about 4 dozen cookies. 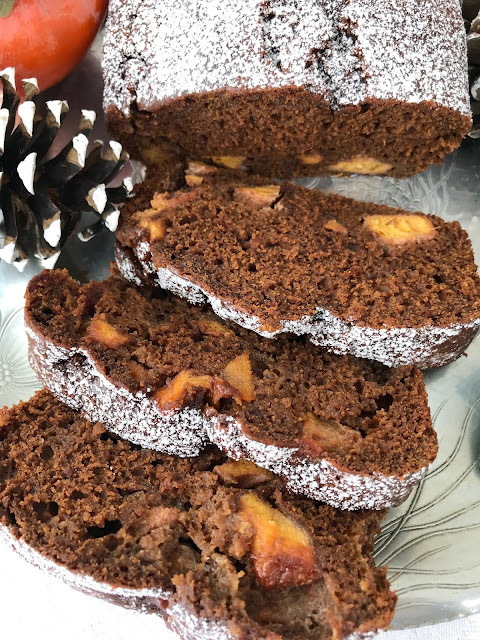 This warming gingerbread loaf cake is full of robust molasses, spicy ginger, and sweet & sticky persimmon for a simple yet satisfying holiday treat! 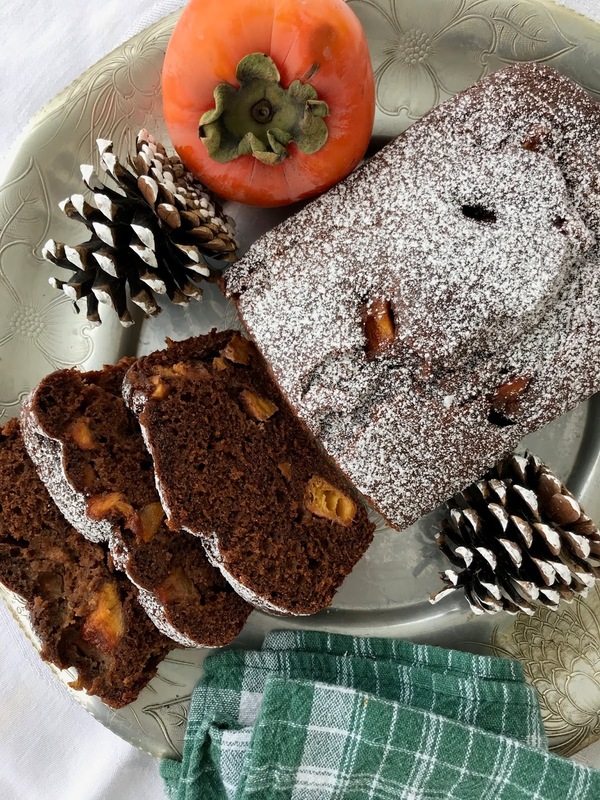 Gingerbread is a favorite flavor of mine around the holidays and I've been wanting to pair it with persimmon for an extra special Christmas or yuletide cake. And since it's my 9-year blogiversary I decided it was appropriate to make myself a cake!! I seriously can't believe I've been filling this little blog with recipes for nine years now! I never would have thought that would be the case, but here I am with no shortage of ideas. I've seen a lot of gingerbread loafs, but they are missing the molasses, which is critical for a gingerbread in my opinion. This quick cake is full of ginger and other spices such as cinnamon, allspice, and cloves. 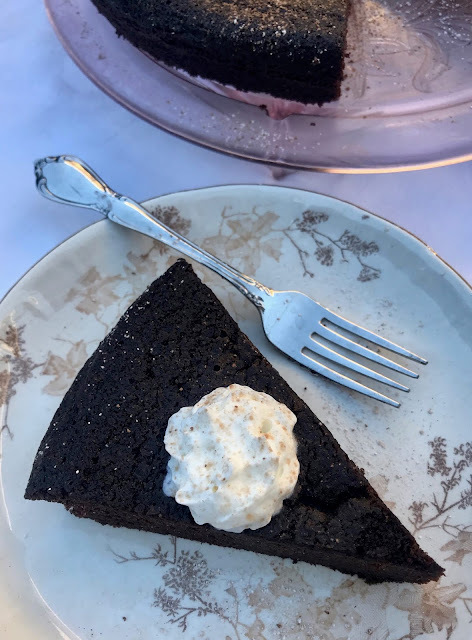 I like my gingerbread to be intensely gingery -- if you don't you can cut it down a little, but I want a supremely flavorful gingerbread that fills the entire house with a molasses and ginger smell while it bakes in the oven. Persimmons are quite a treat this time of year - they can be pricey - so we don't get them very often. I used Hachiya persimmon here and you want it to be super soft and orange so that it is sweet and delicious. This cake is sure to please any gingerbread fans you know. It's lovely as a holiday dessert, or to bring to a potluck, or to serve as an afternoon snack with a cup of tea or coffee to your holiday visitors. It will make one loaf cake. This gluten-free chocolate cake is made with black beans as the secret ingredient! 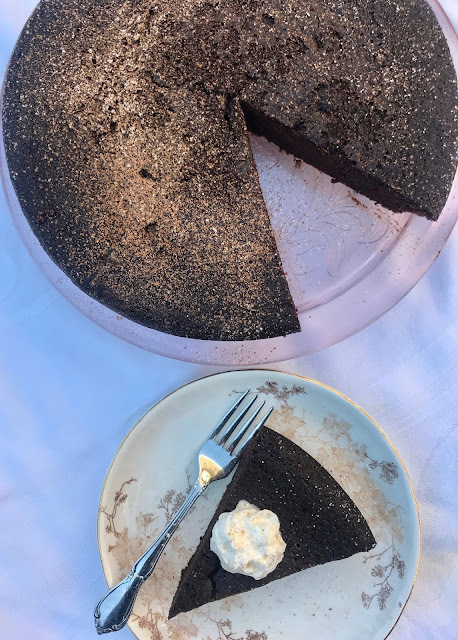 It's my mom's 63rd birthday this week and just like last year she requested this chocolate black bean cake without any frosting (she never eats frosting). My mom provided me with a recipe for the cake she wanted me to make for her birthday last year, but she wasn't sure where it came from and this is my modified version of what she gave me. This cake is a hit with everyone who has tried it. To me, it's like a cross between a cake and a brownie - a little dense, but still with a cake-like texture. You can't taste the beans at all - no one guesses what the secret ingredient is in this cake. You can definitely double this recipe and make a layer cake with frosting if you would like, but since my mom doesn't like frosting, I simply dusted it with a little powdered sugar and cocoa powder and put a dollop of whipped cream on for serving - a really simple and rustic cake. The morning you are making this cake, set aside a tablespoon of coffee for the recipe. This recipe will make one 9-inch round cake.